With a discography as idiosyncratic as Richard D. James', it's hard to know exactly what to expect from a new album. 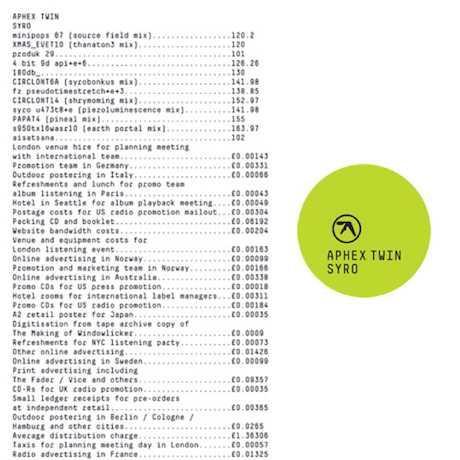 The latest Aphex Twin offering feels very familiar; every track on Syro has an even measure of something notably Aphex. At no point does the album come close to the dizzying complexity or scorching speed of Drukqs, as James opts instead for an uncharacteristically smooth affair. Even the heart-wrenching melodic emotion that often burns through his work is muted and spread across Syro's fleeting moments and hidden corners.